I am out on Friday evening so was wondering what to post in advance. 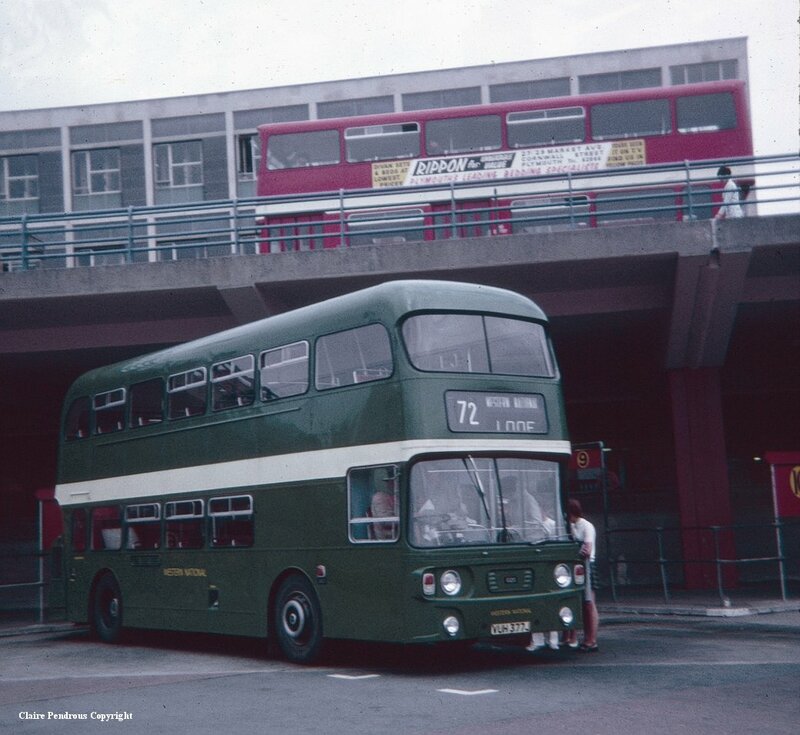 I then came across this excellent rare shot of a very new Atlantean of Western National which is interesting in so many different ways. The contrast of the square lines of the the Plymouth City Atlantean on the roadway above with the rounder flowing lines of the Alexander body illustrate why as a very young bus spotter the VUHs were seen as being a bit special. It was always a treat to get a ride on one of these. Notice also that Bretonside was still using the ‘saw tooth’ bus stopping arrangements at this time, much more suited for rear loaders!